Commons are shared resources managed by communities with an aim of assuring their sustainability and inclusivity. They foster bottom-up initiative and community self-determination, while keeping a close watch on the needs of the wider public. Think of a food cooperative which brings together consumers and farmers and helps them build a food system based on fair pricing, healthy farming and social cohesion. Or a collaborative, digitised collection of cultural heritage, which strengthens the cultural commons – the life blood of society. The Chamber of Commons brings to light the diversity of commons ideas and practices. The tension between the radical ambition of the commons and the dry reality of the Chamber of Commerce awakens our fantasy. Why do we still continue the old economic model of competition, privatisation and rent seeking? Can we develop a Chamber and Registry that are suited for collaborative and generative economic models? 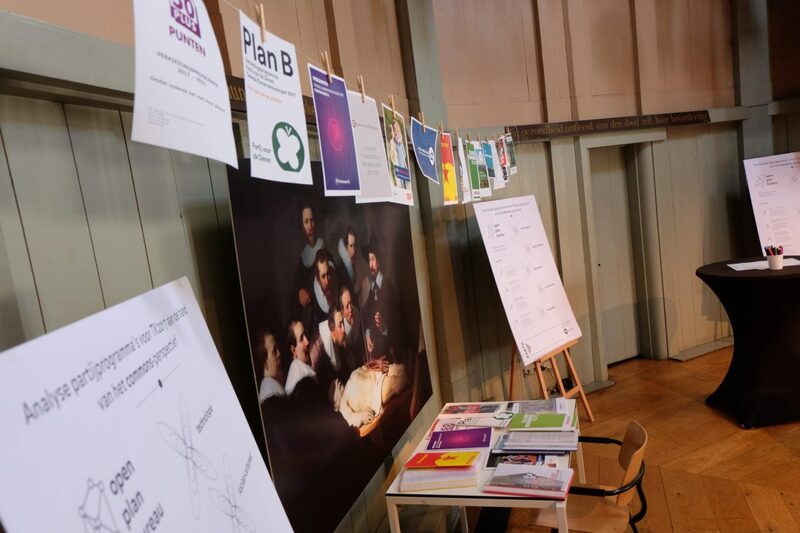 The Chamber of Commons is an initiative of the Waag Commons Lab, in collaboration with Commons Network, De Meent, OBA and the Sustainable Finance Lab. Its objective is to raise public awareness on the commons, tickle the senses, and demonstrate new models through which the commons can address societal questions. Our mission is to support and innovate the practice of the commons globally, and share knowledge with people and partners everywhere. In 2019, the projects and activities of the Chamber of Commons concentrate mostly, but not strictly, on the region of Amsterdam. We encourage more Chambers of Commons being established in other localities. The Chamber of Commons is run by Socrates Schouten, Max Kortlander, Isabella Krammer, Denis Costa, Gijs Boerwinkel, Chris Julien, Alain Otjens, Bart Tunnissen and Marleen Stikker. In addition we work closely with our partners, listed in the ‘footer’ below. Do you want to get in touch about the activities of the Chamber of Commons? Reach out to us via the contact page!